It's far from certain that the court will want to get involved. Samsung Electronics plans a last-ditch appeal to the U.S. Supreme Court to avoid paying hundreds of millions of dollars in fines for infringing Apple patents. The electronics giant said in a court filing on Wednesday that it plans to ask the country's highest court later this year to take up the case, in which Samsung is arguing a Silicon Valley jury erred in a 2012 verdict that left it with a hefty legal bill and massive fines. 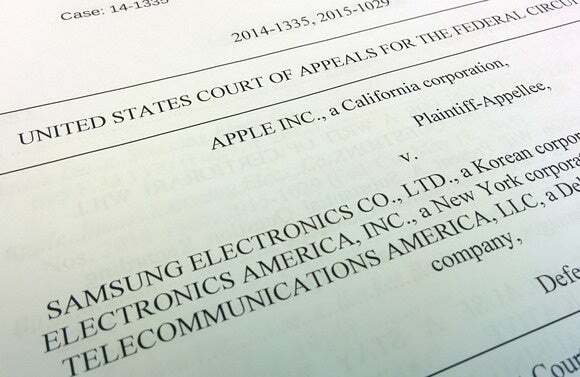 Samsung's move comes a week after the U.S. Court of Appeals for the Federal Circuit rejected Samsung's latest request for a re-hearing of the case. But even so, the fight could effectively already be over as the chances of the Supreme Court agreeing to hear the case are not in Samsung's favor. The Supreme Court is petitioned to hear about 10,000 cases each year, but only takes up about 75 of those. If the court declines to accept the case, Samsung will have to pay Apple around $400 million in fines for infringing Apple patents in about 20 phones. The phones were at the center of a 2012 jury trial that captivated Silicon Valley at the time, but has largely been ignored as it slowly went through the appeals process. 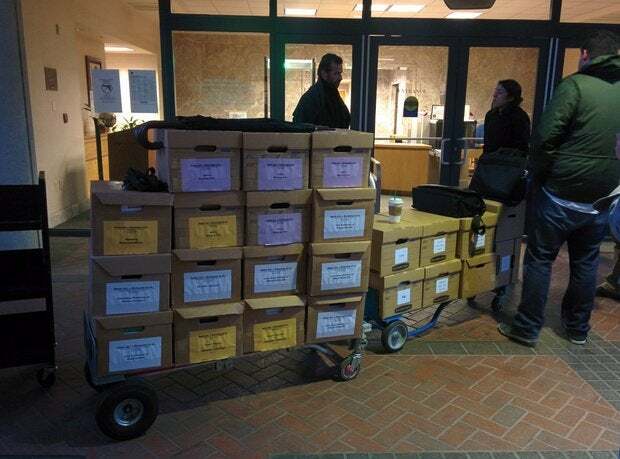 Lawyers arrive at the San Jose federal courthouse with boxes of documents ahead of opening statements in the Apple v Samsung case on April 1, 2014. The two companies have been arguing for several years over similarities in the design and functionality of several Samsung smartphones and Apple's iPhone. During three jury trials in Silicon Valley, documents from both companies were exposed that illustrated a sense of fear at Samsung as Apple broke into the market and started attracting large numbers of customers. Similarly, Apple recognized Samsung as its biggest competitor and strove to match popular Android features in its own iOS.